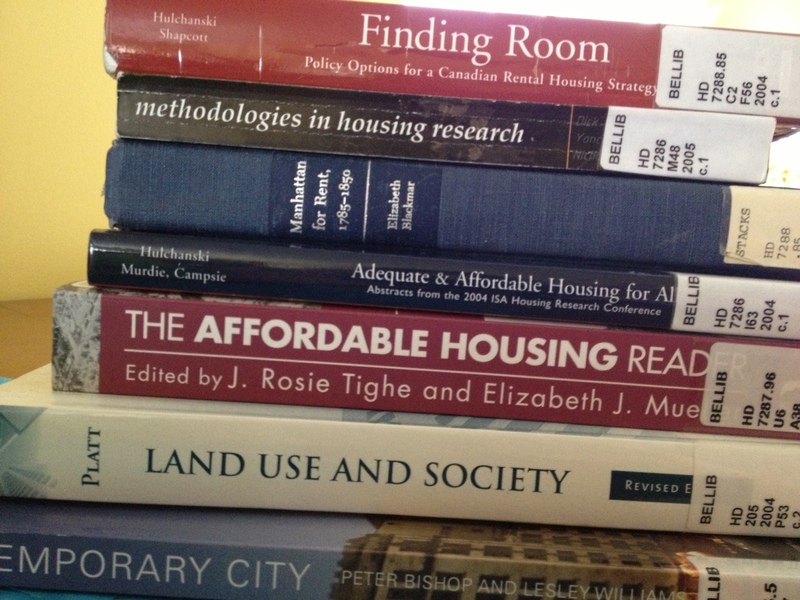 One more thing: Regarding access to the full text of these articles…I have access to a smorgasbord of stuff right now (thanks SFU library!) by dint of the fact that I’m paying tuition to SFU. If you don’t have that same access, try searching for the full text through your own public library, such as the VPL. There’s a good chance that will work for you. If not, you might want to check out the external access programs offered by your local post-secondary institution – I think most have some version of that by now. Info on SFU’s program is here. There’s also Google Scholar…or google the article author/s – sometimes they post their own published articles or similar versions. Abstract: In 1995 Vancouver City Council approved new policy guidelines for future urban development that departed from the traditional model of suburban growth, instead prioritizing urban intensification. Theoretically guided by the Foucauldian governmentality approach, I argue in this paper that this shift towards intensification can be understood through an analysis of Vancouver’s extensive participatory planning process known as CityPlan. Created as an answer to conflicts around the intensification of historically evolved urban neighbourhoods, CityPlan Vancouver exemplifies a specific form of urban governance that has been understudied in geography and participation research: a governance consisting of conducting the conduct of citizens through participatory processes. The paper examines this “governing through participation” by carrying out a microanalysis of the problematizations, rationalities, and technologies of CityPlan. Such an analysis differs significantly from an evaluation of participatory planning processes against normative ideals, and thus enriches critical research on participation in urban governance. Abstract: In this study, I deploy an ethnographic approach to analyze the detrimental effects of gentrification on longstanding residents in New Orleans’ Tremé neighborhood. I focus on conflicts between long-established residents and gentrifiers over the use of neighborhood space on a day-to-day basis as a means for examining the consequent changes in neighborhood life. As their neighborhood gentrifies, long-term residents of Tremé must contend with greater policing, the erosion of place-based knowledge, practices, and cultural traditions, the loss of social networks, and the closure of vital neighborhood institutions. These changes in neighborhood life provide a starting point from which to begin to understand the broader effects (beyond displacement) that longstanding residents experience as a result of gentrification. This one looks very interesting – think I will have to read it. This paper reviews how urban regulations in history have been used to relegate populations to different parts of the city and its environs. Its main purpose is to place the twentieth-century US zoning experience in historic and international contexts. To this end, based mostly on secondary sources, the paper first surveys a selection of major civilizations in history and the regulations they invented in order to keep populations apart. Then, based on primary sources, it discusses the emergence of three methods of residential segregation through zoning which took root in the early twentieth-century USA. The three methods are: segregating people by race, segregating them by different land-area standards, and segregating them based on both land-area standards and a taxonomy of single- versus multi-family housing. Not recent published, but recently found…Another for the reading list….soon. This paper examines conditions that impede inner-city gentrification. Several factors emerge from review of a scattered literature, including the role of public policy, neighbourhood political mobilisation and various combinations of population and land use characteristics that are normally unattractive to gentrifiers. In a first phase of analysis, some of these expectations are tested with census tract attributes against the map of gentrification in the City of Vancouver from 1971 to 2001. More detailed qualitative field work in the Downtown Eastside and Grandview-Woodland, two inner-city neighbourhoods with unexpectedly low indicators of gentrification, provides a fuller interpretation and reveals the intersection of local poverty cultures, industrial land use, neighbourhood political mobilisation and public policy, especially the policy of social housing provision, in blocking or stalling gentrification. Despite the existing knowledge that urban rapid rail transit has many effects on surrounding areas, and despite some attempts to understand the links between transit and gentrification, there remain methodological gaps in the research. This study addresses the relationship between the implementation of urban rapid rail transit and gentrification, which is conceived of as an event. As such, an event analysis approach using ‘survival analysis’ is adopted as the statistical analytical tool. It tests whether proximity to rail transit is related to the onset of gentrification in census tracts in Canada’s largest cities. It is found that proximity to rail transit, and to other gentrifying census tracts, have a statistically significant effect on gentrification in two of the three cities analysed. By providing a methodological framework for the empirical analysis of the impact of urban rail transit on gentrification, this paper is a reference for both researchers and transportation planners.